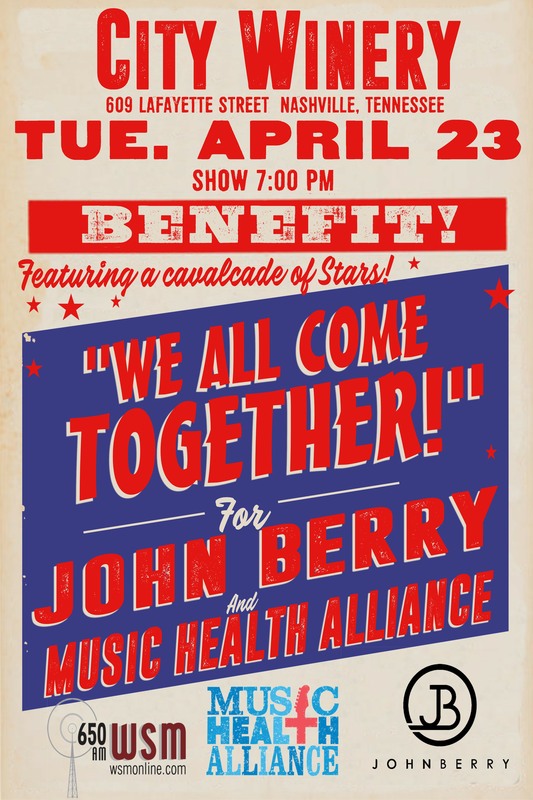 The Country Music community is rallying in support of fellow Grammy winning artist, John Berry, who is currently undergoing chemotherapy and radiation treatments for throat cancer discovered in January. A concert, silent auction, sponsor opportunities and more will be included as ways to donate. We are very proud to be asked to appear and support or dear friend. 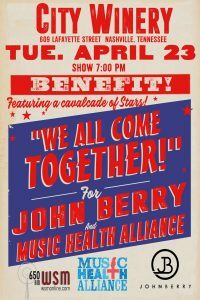 The concert will be held on April 23rd at The City Winery Nashville at 7 pm. Artists announced by media partner 650 AM WSM include us, Trace Adkins, Tracy Lawrence, Exile, Travis Tritt, Bryan White, Clint Black, Jimmy Fortune, Heidi Newfield, Mark Wills, The Oak Ridge Boys, Suzy Bogguss, Vince Gill, Anita Cochran, James Wesley, Chuck Jones, Jeannie Seely, Radney Foster, Mike Farris, Sean Berry, Shenandoah, Tim Rushlow, T Graham Brown, Darryl Worley, Billy Dean and Restless Heart along with special guests and surprises!